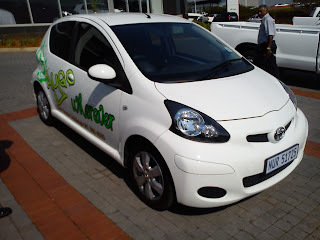 I finally got to test drive the new Toyota Aygo and when I first saw the car close up in real life I was like "what the @#$%!" Seriously now, this car is really small and interior styling is very basic, it felt worse than the 130 Tazz. But then again what market where Toyota targeting when the designers were dreaming up this car? Definitely not a family guy, or anybody over the age of 25 for that matter. This one is for the guy, or girl, who is going to college or fresh out of college. There's nothing fancy about this car, although the version I drove was the top of the range i.e. colour coded exterior, electric windows and 14” alloy wheels. The Aircon and power steering comes standard across the range and ABS and airbags are standard as well. The Aygo is powered by a 1.0 litre vvt-i engine, the car is slow, too slow. At least it will prevent youngsters from driving fast. But in busy areas it proved to be a good dodger of traffic. I took the car on a short run down the Mount Edgcombe freeway and managed to do just over 90km/h with three other guys in the car. There is no rev counter (tachometer) and the engine is pretty quite so you don’t really realise that the engine is straining to pick up speed. But it will reach 120km/h, I just didn’t have enough road to do it. I suppose if you are alone in the car or with just one passenger the car would perform better. The interior was a disaster, for R122000 (2011 price) I would have expected Toyota do a better job. The aircon/fan/heater controls looked like it was made up of coke bottle caps and the controls for the vents where manual i.e. controlled by cables, just like those on the old Corollas and Hiluxs. The rear passanger windows are not wind up/down operated, but have those pop out windows that used to come on the old Toyota Ventures. Don’t know why they couldn’t just make it a wind up window. There is no boots space, there is a boot but you probably will only fit a backpack or two. Leg room around the cabin is sufficient for four passengers. The aircon is powerful enough to cool the cabin and doesn’t take long to kick in. 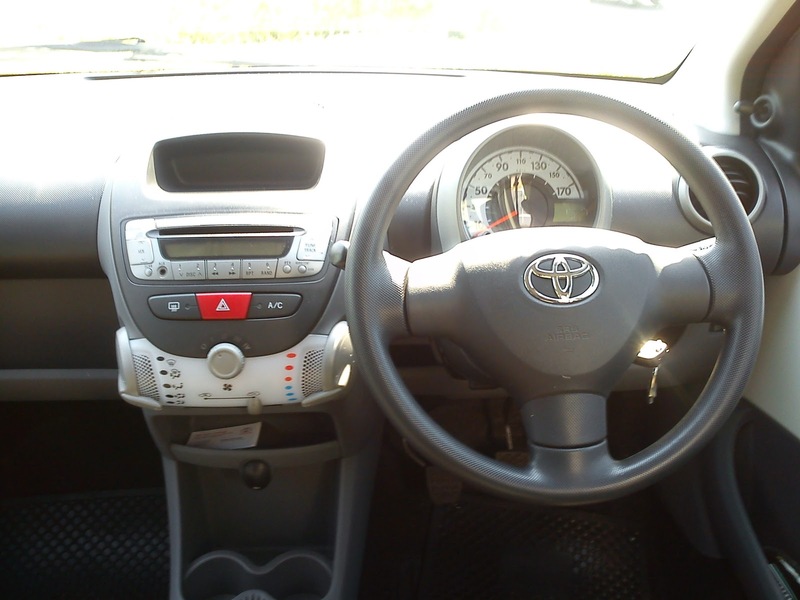 Overall the car has poor build quality and there are some cheap tricks that Toyota used to try and fancy it up. The only good point is the fuel consumption. The car does 4.9l/100km, which is pretty decent, but the moment you pile on the passengers your fuel consumption increases. If you are alone in the car you could probably push it to do 3.9l/100km. The car also comes with 4 year/60000km service plan. The Fresh starts at R112000 and the Wild at R122000. Honestly there are better priced and better featured cars out there, like the Kia Picanto, Chev Spark and Hyundai i10. I'm a big fan of Toyota but I have to shoot down a bad deal when I see it.